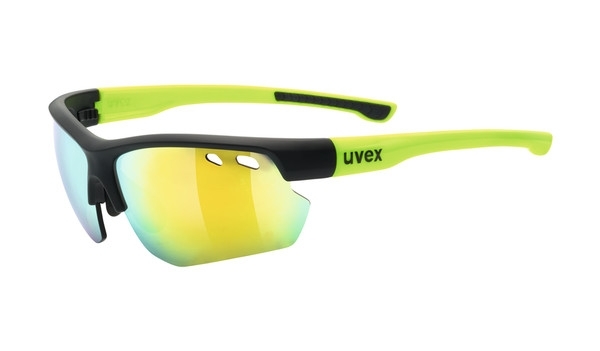 The Uvex Sportstyle 115 only needs a click on the push button on the inside of the frame to unlock the lens, allowing for easy and fast removal. The advantage of the new technology: it is super-fast, and due to the short contact with the lens the cleaning effort required after changing the lens is significantly reduced. With its soft earpiece ends and soft nose pads, Uvex Sportstyle 115 offers a non-slip fit, pressure-free hold and, most importantly, perfect fit.